Analytics software uses "cookies", which are text files placed on your computer, to help the website analyze how users use the site. The information generated by the cookie about your use of the website (including your IP address) will be transmitted to and stored by the analytics provider′s servers. Google and other analytics providers will use this information for the purpose of evaluating your use of the website, compiling reports on website activity for website operators and providing other services relating to website activity and internet usage. Google and other analytics providers may also transfer this information to third parties where required to do so by law, or where such third parties process the information on their behalf. The Web Analytics providers used do not associate your IP address with any other data held by them. Neither Muse Heating & Air Conditioning nor the Web Analytics Vendors will link, or seek to link, an IP address with the identity of a computer user. 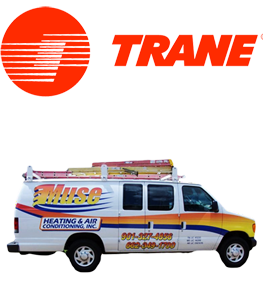 Muse Heating & Air Conditioning will not associate any data gathered from this site with any personally identifiable information from any other source.